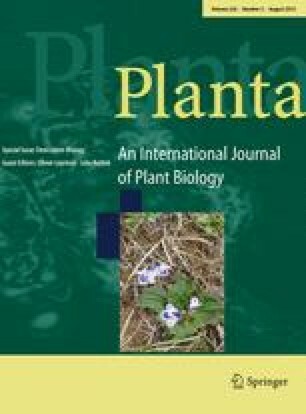 What can we learn from the transcriptome of the resurrection plant Craterostigma plantagineum? The desiccation transcriptome of the resurrection plant C. plantagineum is composed of conserved protein coding transcripts, taxonomically restricted transcripts and recently evolved non-protein coding transcripts. Research in resurrection plants has been hampered by the lack of genome sequence information, but recently introduced sequencing technologies overcome this limitation partially and provide access to the transcriptome of these plants. Transcriptome studies showed that mechanisms involved in desiccation tolerance are conserved in resurrection plants, seeds and pollen. The accumulation of protective molecules such as sugars and LEA proteins are major components in desiccation tolerance. Leaf folding, chloroplast protection and protection during rehydration must involve specific molecular mechanisms, but the basis of such mechanisms is mainly unknown. The study of regulatory regions of a desiccation-induced C. plantagineum gene suggests that cis-regulatory elements may be responsible for expression variations in desiccation tolerant and non-desiccation-tolerant plants. The analysis of the C. plantagineum transcriptome also revealed that part of it is composed of taxonomically restricted genes (TRGs) and non-protein coding RNAs (ncRNAs). TRGs are known to code for new traits required for the adaptation of organisms to particular environmental conditions. Thus the study of TRGs from resurrection plants should reveal species-specific functions related to the desiccation tolerance phenotype. Non-protein coding RNAs can regulate gene expression at epigenetic, transcriptional and post-transcriptional level and thus these RNAs may be key players in the rewiring of regulatory networks of desiccation-related genes in C. plantagineum. Guest editors: Olivier Leprince and Julia Buitink.